The race-winning No. 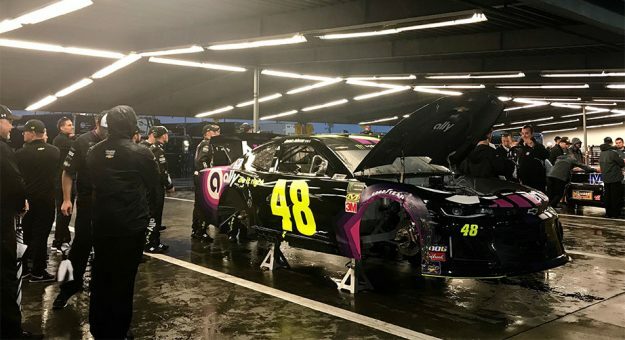 48 Chevrolet of Jimmie Johnson passed post-race inspection Sunday at Daytona International Speedway, an event that hearkened in a new era in NASCAR’s deterrence policy. As part of a policy change, the cars of the first-place and second-place finishers, plus at least one randomly selected car, will undergo post-race inspection at the track. 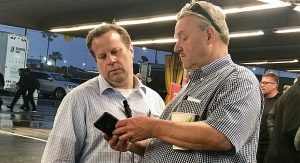 Competition officials said they are targeting a time frame of approximately 90 minutes to two hours to complete the inspection and confirm the race winner. NASCAR competition officials announced in January a new model for post-race inspection for all three national series, introducing a system where race-winning teams found in violation of the rule book would be disqualified and post-race inspections would be conducted at the track soon after the checkered flag instead of midweek at the NASCAR Research & Development Center in Concord, North Carolina. The rules change signals a shift in a long-standing tradition of penalizing an offending race winner with fines, suspensions and/or points deductions, but allowing victories to stand. The new system also accelerates the timetable for thorough post-race technical inspections.